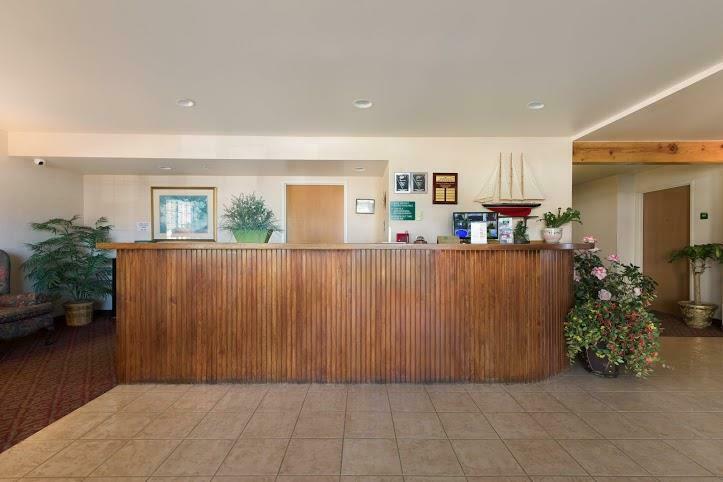 America's Best Inn and Suites Lincoln City offers the most value for your money when staying for business, pleasure, or just passing through. 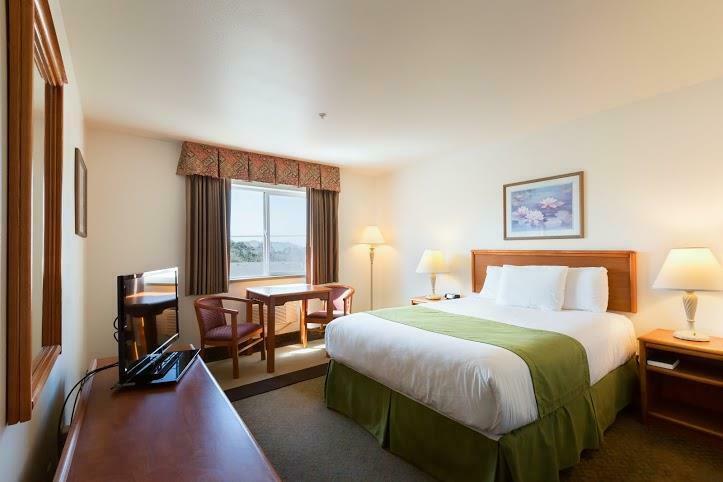 We offer clean spacious rooms, a 24 hour front desk, free continental breakfast, and free Wi-Fi throughout the property. All guest rooms include microwave, mini-fridge, iron, ironing board, flat panel cable TV, HBO, ESPN, and alarm clock radio. Take advantage of our extremely comfortable beds and relax while saving money year-round with our Kids Stay Free Policy (5 and under in parent's room). For your convenience our hotel is a 100 percent smoke-free property. 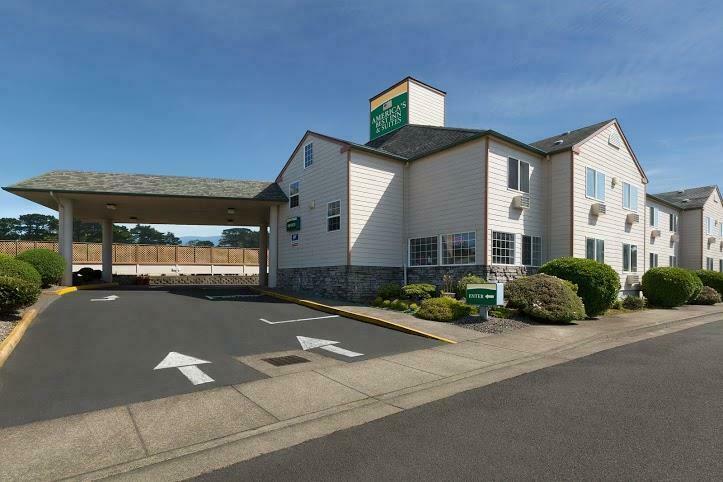 We are located off Highway 101, and are near local attractions such as Devils Lake State Park, Sitka Center for Art and Ecology, Bijou Theater, and Oregon Coast Community College. 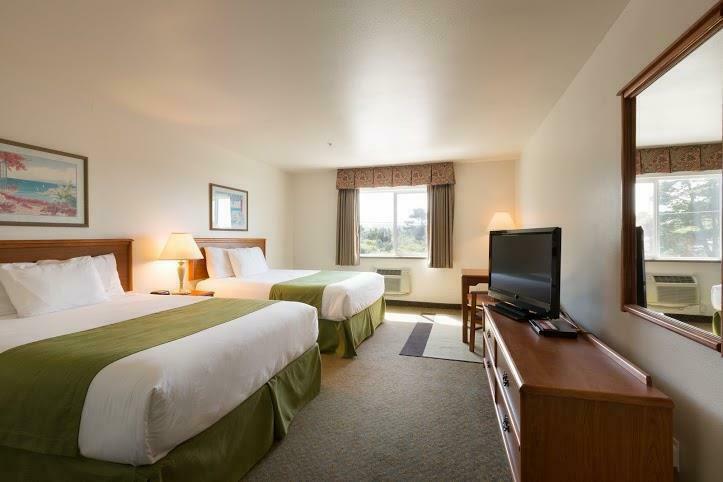 America's Best Inn and Suites Lincoln City is your best choice within coastal region of Oregon. 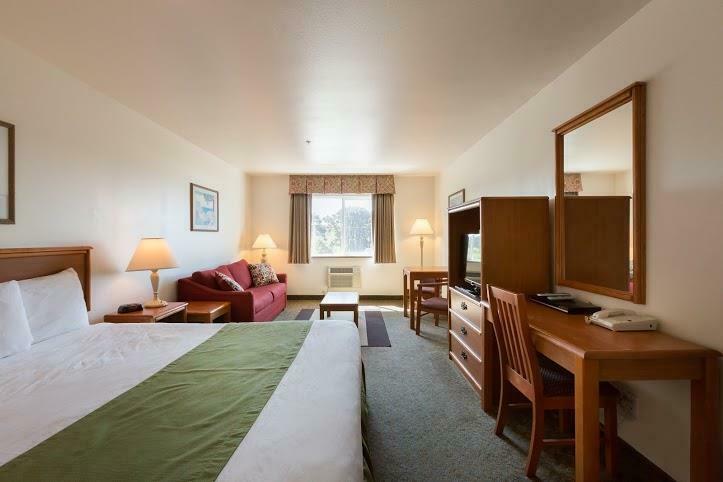 We offer ideal accommodations and location whether you are in town for entertainment, sightseeing, or simply passing through on your way to Portland. 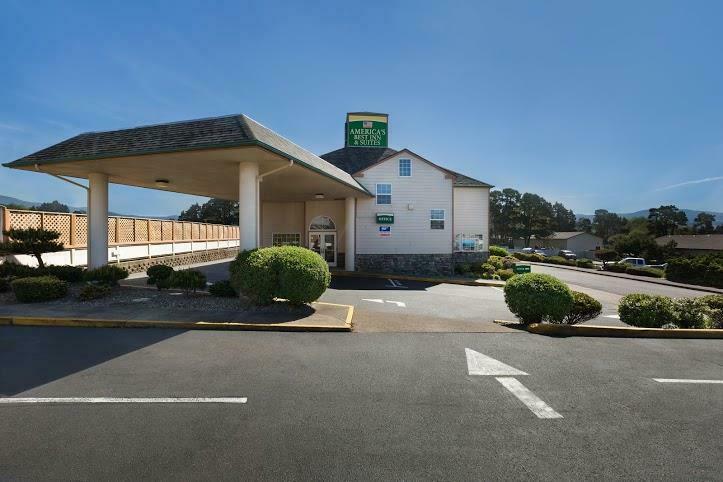 At America's Best Value Inn and Suites Lincoln City our goal is to provide our guests a great experience, not just a place to stay. 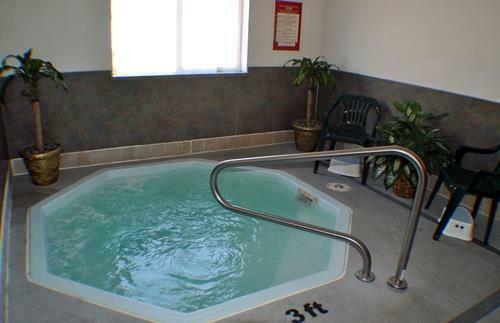 At America's Best Inn and Suites Lincoln City, Expect More. Get More. Humble Pie Pizzeria, 0.1 mi. Mazatlan Mexican Restaurant, 0.1 mi. Jasmine Thai Restaurant, 0.2 mi. Nauti Mermaid Bar and Bistro, 0.2 mi. Maxwell's At the Coast, 0.3 mi. Kyllo's Seafood and Grill, 0.4 mi. J's Fish & Chips, 1.3 mi. Dory Cove Restaurant, 2.1 mi. The Pelican Pub and Brewery, 22 mi. Check out these Lincoln City attractions during your stay. Mid City Plaza, 0.9 mi. Oregon Coast Children's Theatre, 1.2 mi. Lincoln City 6, 2.6 mi. All American Putt N Bat, 0.1 mi. Back In Touch Massage, 0.1 mi. Canyon Drive Park, 0.8 mi. Lincoln City Community Center, 0.8 mi. Olivia Beach Park, 1.9 mi. Chinook Winds Casino, 2.1 mi. Sitka Center for Art and Ecology, 8.2 mi. Neskowin Marsh Golf Course, 12.2 mi. Strome County Park, 19.2 mi. Timberhill Shopping Center, 72.9 mi. Devils Lake State Park, 0.2 mi. D River State Park, 0.4 mi. North Lincoln County Historical, 3.5 mi. Fogarty Creek State Park, 10.6 mi. Oregon Coast Aquarium, 27.8 mi. Cape Lookout State Park, 33.4 mi. Tillamook Air Museum, 41.9 mi. Polk County Fairgrounds, 48.2 mi. Yamhill County Fair & Rodeo, 52.3 mi. White Wolf Sanctuary, 52.4 mi. Siuslaw National Forest, 61.7 mi. Comfortable guest room with 1 Queen Bed. Non-Smoking. Amenities include free wireless high-speed Internet access, microwave, mini-fridge, hairdryer, flat panel cable TV, ESPN, HBO, iron, ironing board, alarm clock radio, and free local calls. Free continental breakfast is included. Comfortable guest room with 2 Queen Beds. Non-Smoking. Amenities include free wireless high-speed Internet access, microwave, mini-fridge, hairdryer, flat panel cable TV, HBO, ESPN, iron, ironing board, alarm clock radio, and free local calls. Free continental breakfast is included. Comfortable oversized guest room with 1 King Bed. Non-Smoking. 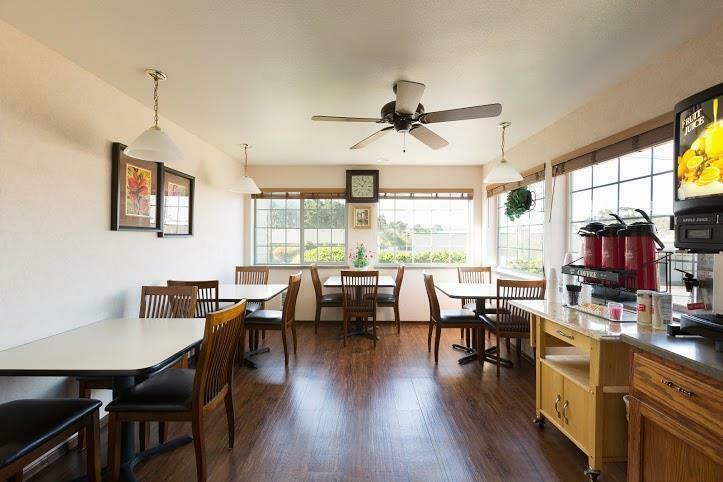 Amenities include free wireless high-speed Internet access, microwave, mini-fridge, hairdryer, flat panel cable TV, HBO, ESPN, iron, ironing board, alarm clock radio, and free local calls. Free continental breakfast is included.